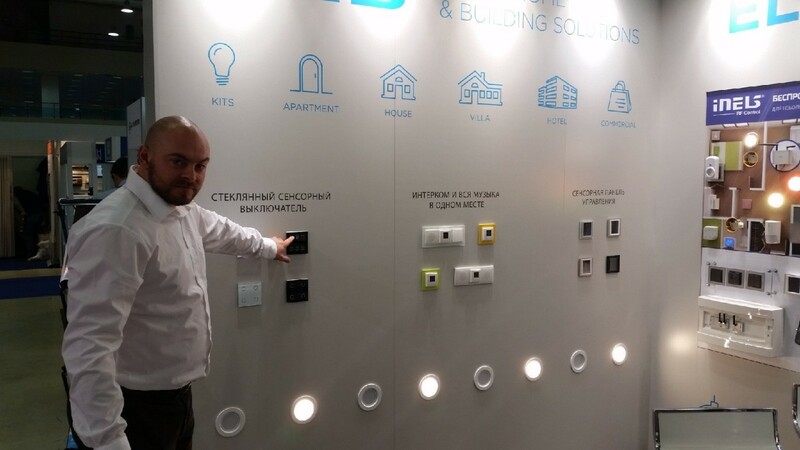 In the period from 28th till 30th October 2015 we have participated in the International exhibition HI-TECH Building, which took place in Moscow. 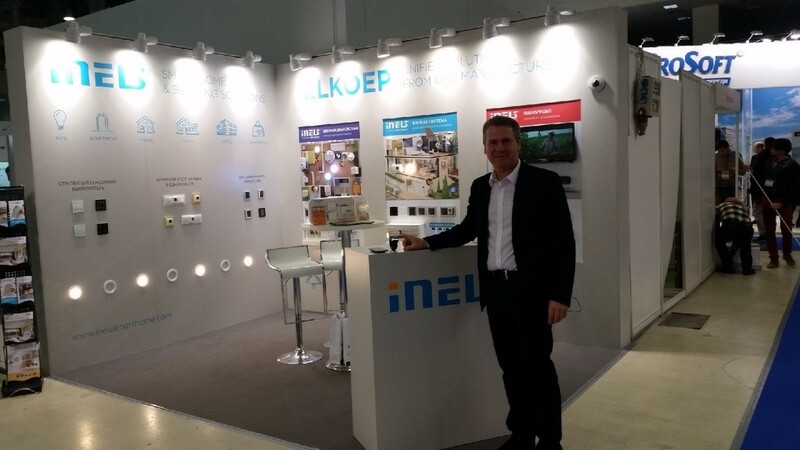 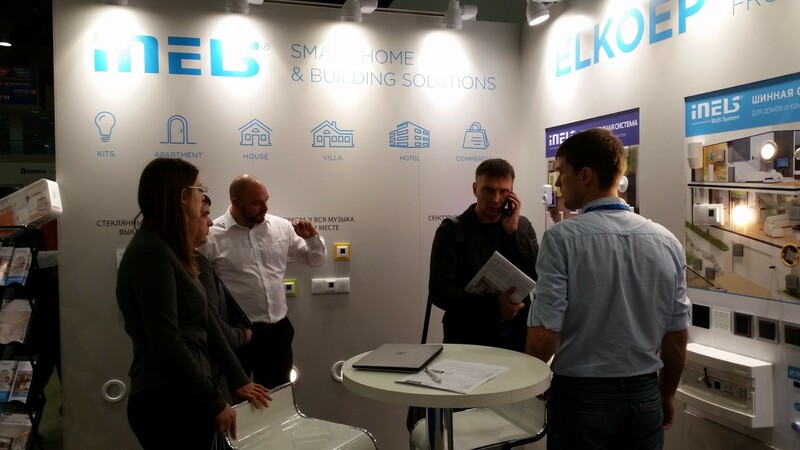 At our booth we have presented our complex solution for intelligent household - iNELS Smart home & building solution. The visitors had a really good opportunity to see a whole variety of our intelligent products. 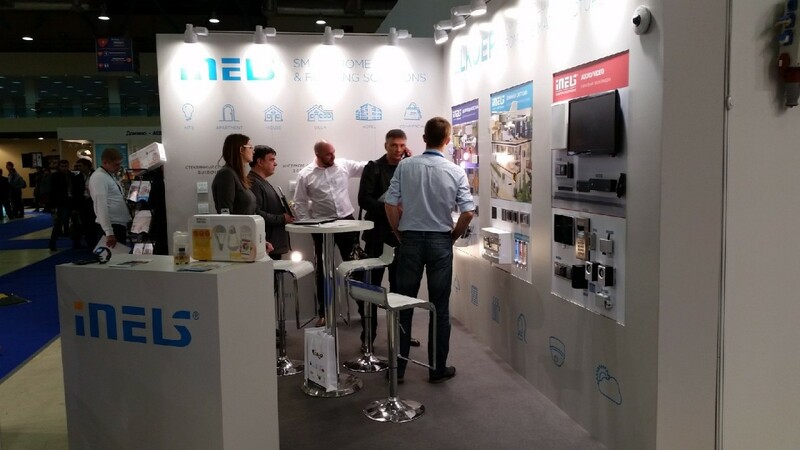 From Smart home kits, which present a starter package for Smart home, through wireless system iNELS RF Control, iNELS BUS system till multimedia control. 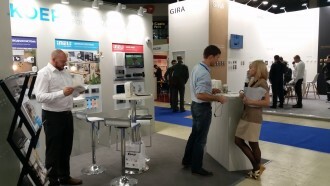 LARA Intercom has aroused the greatest interest, LARA that can replace even door communicator! New App to control wireless systems have been also presented - App for controlling lights via Smart watch! Smart watch will be connected to Smartphone via bluetooth and reflect iNELS HOME CONTROL APP which enables controlling the entire house. The owner of the watch can easily control heating, lighting, monitor energy via Smart watch! Keep your house under control! We really look forward to meeting you again! 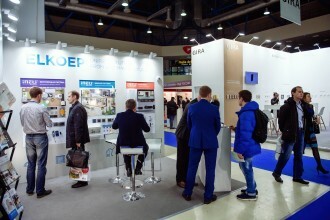 Complete overview of exhibitions - HERE.